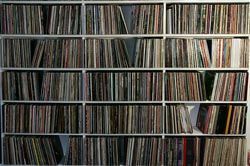 Vinyl sales increase 55% in 2011 | What Hi-Fi? Sales of vinyl albums were up 55% year-on-year in the first six months of 2011. Releases by Radiohead, Beady Eye and Adele led the way, as sales for January to June hit 168,296, up from 108,307 in 2010. The Entertainment Retailers Association (ERA), which released the figures, also revealed the average album spend to be £16.30 for vinyl compared to £7.82 for CD and £6.80 for digital releases. Radiohead's King of Limbs release topped the sales chart with a whopping 20,771 copies sold. Limited edition releases, extra album artwork and initiatives such as Record Store Day were all credited with boosting interest and sales in vinyl.